Creator, inspirer and motivator, Bob Marley is undoubtedly one of the most influential and political performers of the 20th century. His influence can be heard in the songs of artists as diverse as Carly Simon, Wyclef Jean and international remixer Funkstar Deluxe. In Bob Marley: Lyrical Genius , renowned poet and scholar Kwame Dawes analyses in detail what Marley's verses and lyrics mean when matched against the climate of the time and what it meant to be a black man in a world still struggling with integration. The quintessential folk poet of the Developing World, Bob Marley influenced generations of musicians and writers throughout the Western hemisphere. He was a performer who held true to his religious and cultural heritage, yet is still awarded the status of global rock star. Icon, songwriter, performer and gentleman, Bob Marley and his songs are as important today as ever. His worldwide sales currently stand to be worth over $190 million, and with artists ranging from The Fugees to Shaggy covering his songs, he is an enduring presence in the world music scene. His global success has been an inspiration to all Jamaican artists: his music became the Jamaican sound and he was the first true Jamaican superstar. His contribution to music is immense and everlasting. This is the first in-depth analysis of the artist's lyrics, investigating how they helped shape the culture and beliefs of a generation across the globe. 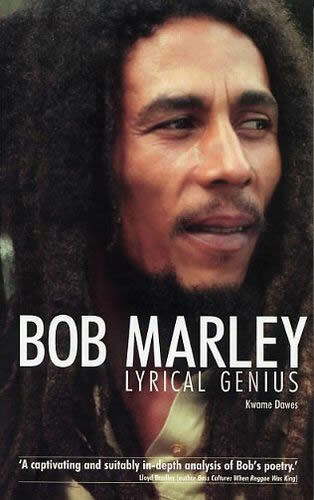 Bob Marley: Lyrical Genius is the single reference any fan will need to understand the message of the man.